Dave Buesing - Page 2 of 2 - SEO Manager by Day, Comic Book Blogger by Night. If you’re anything like me (note: if you distrust elevators, you’re anything like me), you get a little intimidated whenever art/design elements rear their pristinely pixelated heads. Let’s say you’ve spent hours crafting a fantastic, well-researched blog post. You feel great about the content, but would really like some visual eye-candy to push the piece over the top and set your industry ablaze (metaphorically speaking… if that’s even a good thing. Actually, you know what, don’t burn anything; Arson is not the answer). This is where I frequently get intimated. All the sudden I’m having nightmares starring monsters named ‘InDesign’ and ‘Adobe Creative Suite,’ waking up in a cold sweat worrying I’ll need all sorts of training, money and new skills if I ever want to have success online. Q & Dave: What’s the SEO Value of Keyword Rich Domains? I wouldn’t recommend it. 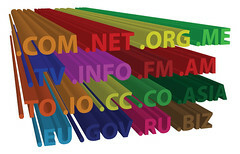 For starters, those domains have no established value (assuming the webmaster in question is buying the domain fresh and not from a current owner. If the site is already established, and it’s an acquisition from a competitor, there’s potential for this move to make sense). So simply because these are keyword rich domains doesn’t mean redirecting them will boost the main site in any way. It just means direct traffic to those keyword rich domains will now lead to less confusion. If your site is “rhcp.com” and the available domain is “redhotchilipeppers.com,” and you think you’re losing direct traffic on that, a redirect would be perfectly plausible. But it won’t help your search engine rankings unless redhotchilipeppers.com exists as its own established entity, with some semblance of worth and value already acknowledge by Google and the like. Only other situation where I like the move is if the company wants to invest in what they consider quality, available URLs. If they’re worried about a competitor snatching this quality domain, then sure, spend the $10 and keep that from happening. Redirect can’t really hurt here (on the off chance someone types it in directly), but it won’t boost SEO. The same applies here with ‘.net’ or ‘.org’ versions of a URL. Buying these alternate-reality domains won’t give your main ‘.com’ any boost, but it will prevent competitors from copying your branded domain name and potentially stealing visitors with a confusing URL. Final thing I’d add is that keyword rich domains are decreasingly relevant. Certainly doesn’t hurt, but if you’re in a competitive market, you’re better off putting the focus on a higher quality site. The domain alone won’t guarantee you any rankings. When selecting a domain, I’d consider branding and user experience above SEO value. If the two coincide, then by all means take advantage. Google SEO: Exact Match Domain Or Not? It’s kind of strange when the answer isn’t right in front of you. We’re so used to just popping our questions and needs into a search engine like Google that it’s legitimately surprising when we have to really research a topic. This is over-simplifying, of course, as Google results may take some navigating, but for most straight-forward questions, it really isn’t hard to find the information you need. If you’re looking to drive traffic to a website, though, it’s in these ill-defined questions, the ones without a clear online guide established, that you’ll find some of the greatest and longest lasting opportunity. An example: I’m an unabashed comic book fanatic and run a comic book blog in my spare time. I have an online subscription to Marvel Comic’s digital offerings, but because of the iPhone software’s widely publicized resistance to Flash, I’m unable to access my subscription on the go. So here I am taking the train to work every morning with a stark lack of Daredevil in my life. Never has a man suffered so. This seemed like a waste of my subscription so I started searching for ways to get around the iPhone’s Flash banishment. There weren’t really any answers. Bits and pieces of answers, yes, but no clear cut “This is how you solve your problem” articles. So I took what information I could find, experimented with some options, and reported my findings in a thought-provoking and erudite post. To be honest, when I posted my work-around, I couldn’t have told you how many other people were looking for the same information. All I knew was I had a question related to my blog’s niche, I couldn’t easily find the answer in search, and I had done enough research to make an answer available. The early results were pretty underwhelming. Very small amounts of traffic here and there. But, over time, the amount of searchers looking for the same information I had looked for started picking up. And they started finding their way to my site. Since the post went live, I’ve seen traffic from 171 variations on the core phrase “Marvel Digital Comics Unlimited iPad.” Better, those visits have accounted for over 13% of my total site traffic. It’s my number one traffic-generating keyword, and it didn’t come from keyword research of any kind. It came from genuine interest in my subject matter and experiencing a problem without an answer within the site’s niche. Now, my site still isn’t the number one result for these phrases, but because I experienced the problem first-hand, I’m fairly confident my post answers the consumer-need in a very real way. Does my captivating and charming authorship photo make my search result more appealing? Very probably. Nonetheless, find an open need online and provide the best attempt to help, and consumers will find you. Mmmbaby that’s what I like. Again, the chances that you are the only person who will ever search for answers to a certain problem are so minuscule it’s really not worth worrying about. Unless you ride the train to work wondering “How many bananas can a Minotaur eat before he feels sick?” your curiosity is likely going to lead to new opportunities. Having said all of that, I would still highly recommend you refine your passion-driven keywords with some help from Google. A very small amount of keyword research helped me realize searches including iPad were far more likely – and I’ve seen that data backed up in the results. Just a few short days ago, I wrote a lengthy post about controlling search results for your own personal brand (see: your name). Part of the post details my decision to control results for “Dave Buesing” as opposed to my full name, David Buesing. The main reason was I found David Buesing to be a surprisingly competitive search result. I knew I could own the search page for the abbreviated Dave, and felt comfortable enough embracing that persona online. Well, after thinking about it a little more, I’ve decided I’m not going to take this David Buesing competition lying down. Do the other David Buesing’s of the world know we’re in a competition? Probably not. Am I going to be writing my own name in this post with a frequency that would make Ricky Henderson question my ego? Probably. Will any of that slow my thunderous ascent to the top of the rankings for ‘David Buesing.’ I really don’t know, but I hope not. So here goes nothing. Over the course of however long it takes, I’m going to set up a David J. Buesing redirect to my website. My goal is to get this post ranking for my full name, so that, on the off chance that anyone is looking for me, they’ll be able to find me. I’ll be detailing how I approach this here in this post with updates every time I try I new strategy. Strategy #1) Create This Post – September 3, 2012 – Hey, who knows, maybe including David Buesing in the URI of this blog post, along with a strong page title (and an absurdly high keyword density) will be enough. And if it’s not? Well, then we’ll have to move onto strategy #2. After posting this, my primary URL (davebuesing.com) has moved to the 6th position for “David Buesing.” It’s not entirely surprising to me that the home URL (as opposed to this specific post) has taken hold of a ranking. For starters, the site is very new and an XML sitemap has only recently been submitted. It was only a matter of time before Google started indexing the site, and Google’s increasingly impressive (see also: disturbing) ability to interpret searcher intent means searches for “Dave” and “David” could lead to the same results. So what’s next? Strategy #2 will involve a couple things, namely Schema structured data and a very small sampling of link-building. To come soon. I’ve gotten into the potential of structured markups lately, and as you can see, this is my blatant attempt to see if schema info in this blog post will help rankings for David Buesing. Brand name ranking finally in place. A few points of interest. Number one, Google is definitely and clearly equating “David Buesing” with “Dave Buesing.” As you can see in the above screenshot, both instances of “Dave Buesing” are bolded for the search “David Buesing.” In this case the Google searcher intent algorithm is spot-on, and I’m glad to see they’re making the connection. The second thing I noticed, though, was that I was actually able to hold down spots 4-6 with various “davebuesing.com” related posts. One was an archived tags post for “David Buesing,” and another was my resume upload. The other was this post, which of course was my original plan. In the span of a few days all 3 of these results were dumped off the first page of results. My primary domain is top 3, so I’m not overly concerned, and would actually agree that as far as quality search results go, it’s better to have a tags page from my blog removed. Nonetheless, Google is a constant reminder that your results are constantly in fluctuation. Given the above developments, I’m pretty much out on trying to get this specific post to rank for my targeted brand term. My primary site domain is too closely related to the targeted keyword to make a post-specific push, and there’s really no advantage for me here to make that push. So my latest strategy employs some very basic link-building for davebuesing.com. This is not advanced link-building, and it is not particularly active strategizing. It’s simply the bare bones basic, most passive way to make sure you’re linking to your site in all the right places. Links accumulated from: DMOZ.org, Twitter, Facebook, LinkedIn, SEOMoz, Google+, Pinterest, and Klout (highly recommend this reading for how to get a followed link to your site from Klout). So how was I rewarded after the simple base of social profile link-building outlined above? Well… I fell a spot to #4 in the SERPs. The good news? Deeper links on davebuesing.com, including this post and 2 tag archive pages now hold the 4-8 spots on the “David Buesing” SERP. I would never want to de-index those pages or anything since they are performing well here, but I don’t feel great about Google grabbing relatively unimportant tag archive results here. I’m not even looking for that and it’s my site. I do have to wonder as well if Google’s new exact-match-domain algorithm update in some way impacted the drop from 3rd to 4th. My assumption is still that Google is smart enough to treat davebuesing.com as an exact match for David Buesing. The site is relatively new and the amount of content is limited currently, so an EMD-related drop doesn’t seem out of the question. It would seem that Google’s finally adopted this post as the logical ‘davebuesing.com’ result for searches for ‘David Buesing.’ Woot woot! This post currently ranks 3rd (with authorship) for my legal name, which isn’t half bad. Just losing out right now to the LinkedIn directory for the name (alright, sure) and some stud from Pfugerville, Texas (I can’t compete with that). As with all things Google, there’s no guarantee this post will maintain the 1st page result for my site, but here are my takeaways. How did I get the result I wanted? 1) Time – Clearly, it took a little while for the intended post to really get a foothold for ‘David Buesing.’ I think a big part of the 2 and a half month waiting period can be attributed to the freshness of the site in general. This was only the second post on the site after launching, and any new URL is prone to more fluctuations than a solidified web property. Additionally, as I’ve continued posting to the blog and adding value to the site, I’ve given Google a better idea what this URL provides. 3) Logical Keyword Stuffing – Ok, so clearly, if you’ve invested any time at all into how SEO should work, you know ‘keyword stuffing’ is uniformly met with derision by anyone who wants to be taken seriously. Nobody, not Google and not your Grandmother, wants to find a website loaded with targeted, exact-match keyword terms splattered across the page in an illiterate desecration of the English language. That said, this post here? The one you’re reading? Kind of keyword stuffed. I haven’t exactly been subtle every time I mention ‘David Buesing’ as the focus keyword of this post. Of course, this post is a little more meta than the standard content marketing endeavor. That said, it seems to indicate that, for the right keyword, logical, reasonable keyword… concentration… pays off. As it should. Again, with any content, 95% of your effort should be the natural writing of the piece. But a 5% effort on a focus keyword might pay big dividends. It just has to flow naturally. It’s official. We did it. This here experimental blog post, stuffed to the brim with references to David Buesing (yours truly), is showing as the #1 result for “David Buesing” searches (just an exponentially vast search market). Self-Indulgence never smelled so sweet. It’s nice to see this SERP finally work itself into a logical order, but you’ll note that the #1 ranking didn’t actually come until the 5 month mark. Presumably this could have been sped up with some mild link-building. Operating almost purely on ‘logical’ keyword stuffing and on-site optimization, though, the SERP results took their sweet time. And end of the day, even though I like the way this post ranks for my targeted term now this could all easily change tomorrow. SERP results are incredibly volatile, even for something as non-competitive as my full name. Just look at the course of this SERP! The page has gone from not including my website, to including 4 pages from my website, to just including the core targeted post I initially wanted to rank. Regardless, I’m curious how long this post will hold the top spot. In theory, it should remain the most relevant post for my name, at least until some young up-and-comer named David Buesing invents a chron0-booster that extends your day by 8 hours and steals all my thunder. I’ll be keeping an eye out just in case. My sister’s boyfriend is a giant knucklehead. Seriously… he’s enormous and I’m fairly certain his head is full of knuckles. Although I’ve come to like the guy, my brothers and I have spent an absurd amount of time teasing my sister about the likelihood of him turning into the Hulk (didn’t help when he dyed his hair purple). Every single day he continues to date my sister, my bald Dad loses another hair he doesn’t even have. We’re in crisis mode at this point; marriage talks aren’t all that far away.